freud quotes: Happy 161st Birthday, Sigmund Freud! Sigmund Freud, (born May 6, 1856, Freiberg, Moravia, Austrian Empire [now Příbor, Czech Republic]—died September 23, 1939, London, England), Austrian neurologist, founder of psychoanalysis. I could wish you a very long and happy life, as is the custom on such occasions. But I shall refrain from doing so; the bestowal of wishes is trivial and seems to me a regression into the era when mankind believed in the magic omnipotence of thought. My most personal experience, moreover, tends to make me consider it a good thing when merciful fate puts a timely end to our span of life. ...although I have been exceptionally happy in my home, with my wife and children in particular with one daughter who to a rare extent satisfies all the expectations of a father, I nevertheless cannot reconcile myself to the wretchedness and helplessness of old age, and look forward with a kind of longing to the transition into nonexistence. What an amount of good nature and humor it takes to endure the gruesome business of growing old! The garden outside and the flowers in the room are beautiful, but the spring is a Fopperei [trans: mockery], as we say in Vienna. I am more than eighty-three years old, thus actually overdue, and there is really nothing left for me but to follow your poem's advice: Wait, wait. The Penguin Freud Library - A selection of classic Freud texts, in new translations, under the general editorship of Adam Phillips. 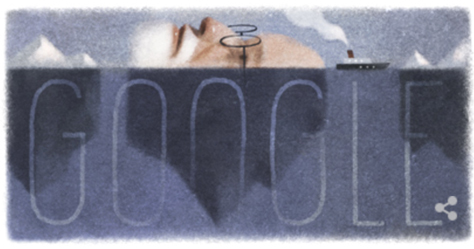 Sigmund Freud has been honoured with a Google doodle to celebrate 160 years since his birth.